I’ll take a bribe. So will you. I was taking a course in political corruption at the University of Central Florida in the late 1970s. There were 155 students in class and we met in the auditorium. Mayors were on the take. So were city and county commissioners, chiefs of police, police officers, and more. Anyone in public service is subject to taking a bribe or paying someone for a valuable service that wasn’t available legally. Times are tough, though, and costs of living going up. The instructor said that the most corrupt position is county commissioner or any institution that decides planning and zoning. 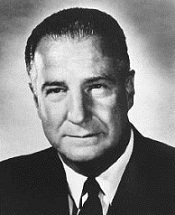 In Maryland, Spiro Agnew was the Chairman of the Baltimore County Zoning Board of Appeals in the early 60s but it was while he was governor of Maryland later that he was investigated for accepting bribes. This came up after Agnew became vice president and Richard Nixon was president. 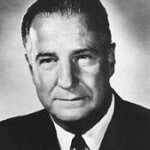 However, Agnew, a lawyer and vice president under Richard Nixon, pleaded nolo contendere to tax evasion and resigned his office of vice president on October 1, 1973. Personally, I think members of congress and the president are the biggest bribe recipients. You can call it whatever you want, lobbying is bribing someone to do something for money or other items of value. The money givers may not want something now but eventually they would want a piece of legislation handled for them or something else. Their lawyers would do the paper work and the congressman presents “his” legislation. They give the money as long as you play the game. The same with the president. 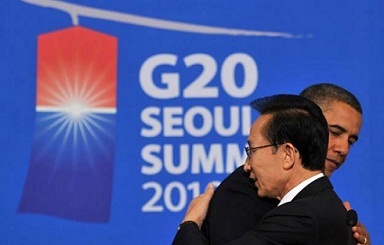 Obama has taken in loads of corporate “assistance” for his campaign chest for helping pass the South Korea, Columbia and Panama trade agreements. It means more American jobs going to cheap overseas labor. Hey. That’s criminal. The instructor just shook his head while the imbecile ranted. The the professional-to-be-bribe-taker sat down and the instructor looked around and asked if anyone wanted to comment. No one said a word. I hesitated a few seconds but changed my mind because I’ve been in confrontations before and I decided to wait until class was over. I met the perfect candidate for public office outside and I said , loudly, like a DI in boot camp. He talked nervously. He could run for office right then, qualifying on two points. He qualified at taking bribes and lying. I watched as this sorry sample of our nation’s future disappeared into the warm Florida night. Today corruption has never been so widespread and accepted. We have never had a union of democrats and republicans working together as partners with global corporations to deconstruct America and remake the world into trading regions, under regional and global governance. And there is no one, absolutely no one in Congress speaking out against this tragedy well under way and publicized. Americans will find out what true hardship will be over the next three decades as citizens stand by and let it happen.